Discover the best that Buenos Aires has to offer during this 5-hour private sightseeing tour. 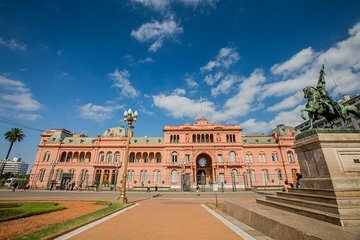 See the city’s key landmarks—from north to south—such as Teatro Colon, the Obelisk, the Government House, and Puerto Madero. Learn about the rich history of the city as you explore and take a 30-minute boat ride along the Rio de la Plata for the best views of the Buenos Aires.